In november 2004 the Dutch Volvo 850 Club organized a celebration meeting for 10 years T-5R. The weeks before the event was heavily advertized in several car-magazines and newspaper. 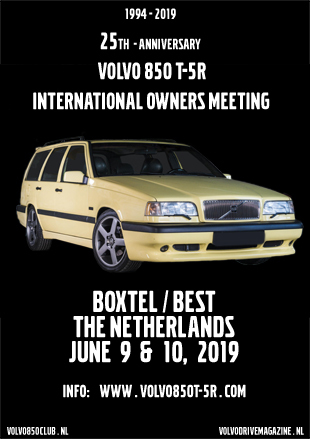 Unique pictures of a unique event that will certainly be matched during the anniversary meeting end of August in Rosmalen.